Spots available for Players of all Levels & Playstyles. Contact beckerbear or jamess1891 on LINE to be placed in the guild that suits you perfectly. 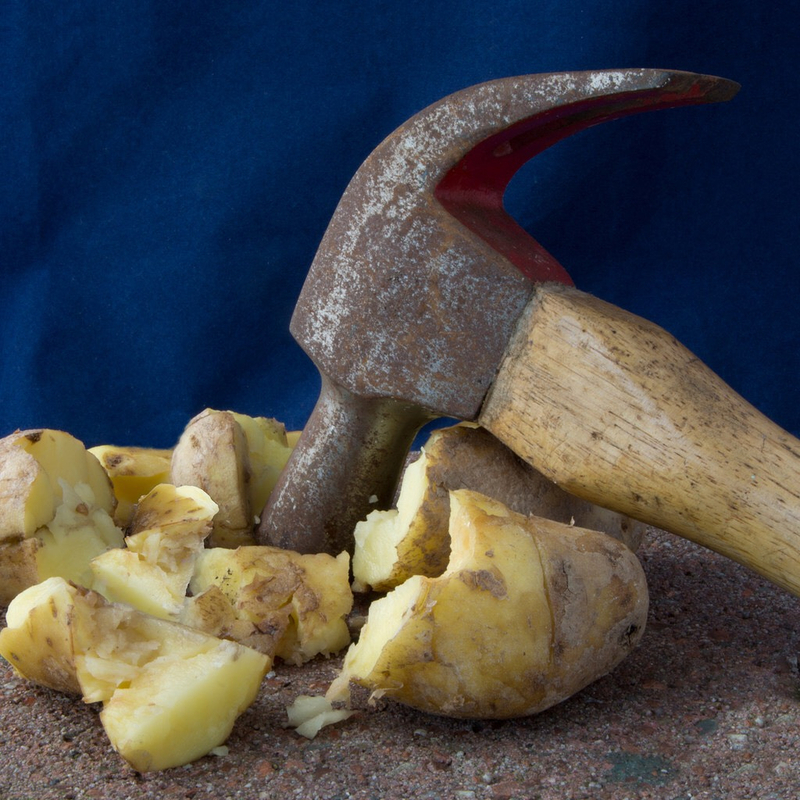 NEWS 04/19: Unfortunately The Potato Force is no longer part of our family - we hereby distance ourselves clearly from all future actions carried out by them. Absolute best guild family ever. It’s been an honor and a privilege to be a part of the potato family. Some do it by hand. Others are dry clean only. im disappointed the line logo wasn't a link to the app. In the picture, Zomm is coming out of the Level Capped grave. 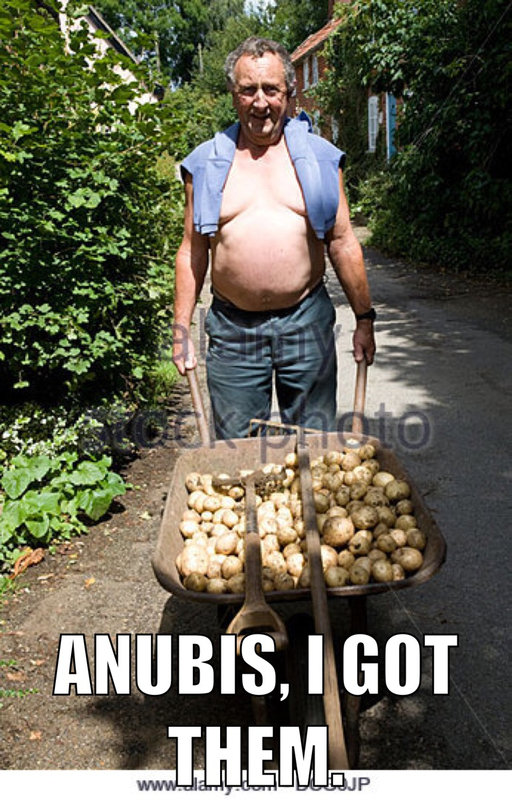 Does he plan to eat all the potatoes? Who is he holding now? 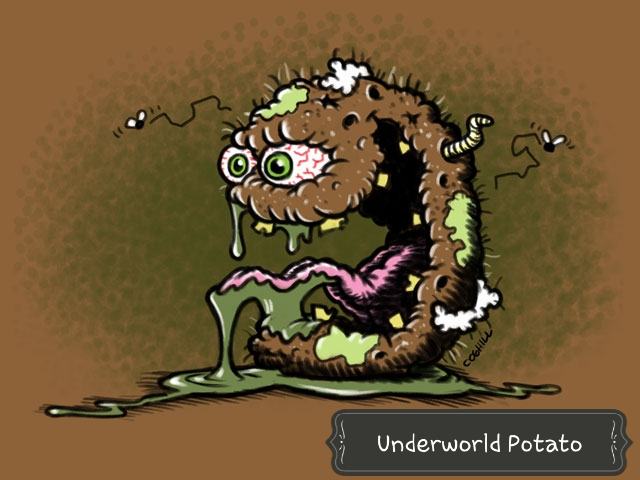 Do the diead potatoes go to the underworld? I would like to apologize for my guilds behavior. 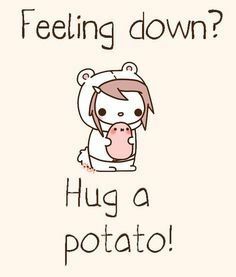 But we love potatoes so much! I know what hammers do! Dont hurt the potatoes until they are ready to eat. We find them a worthy opponent and can’t love them enough. If you are tasty, please join them. If not, find another guild. I sure hope you are tasty. We have several spots this reset in a diverse set of guilds!!!! Contact us now before they are gone! 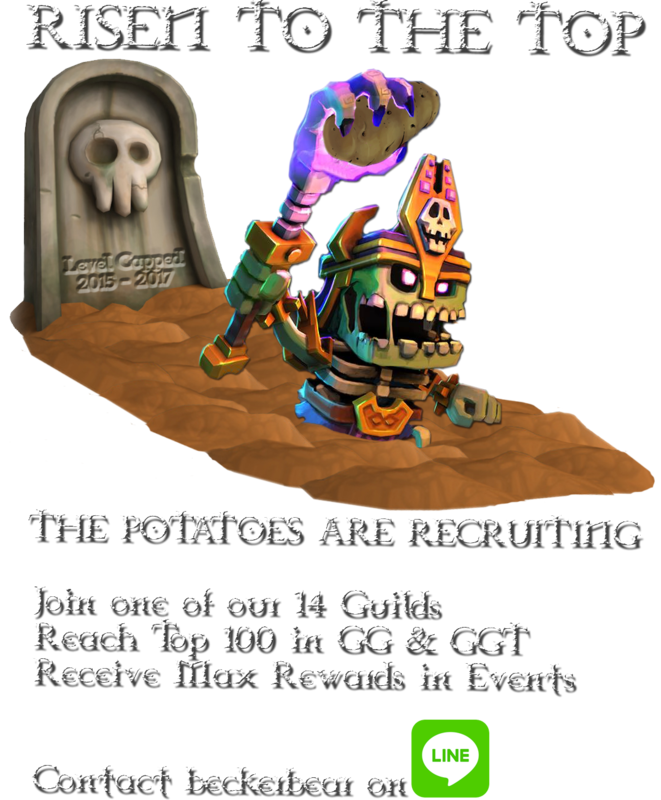 The Potato Army of guilds would like to welcome it's newest guild this week to the family: POTATOCCHINO!!! 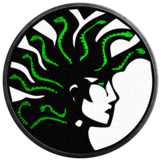 A international very casual 140/crown a week guild, apply today for a spot here or our 14 other guilds! Potatocchino sounds great! 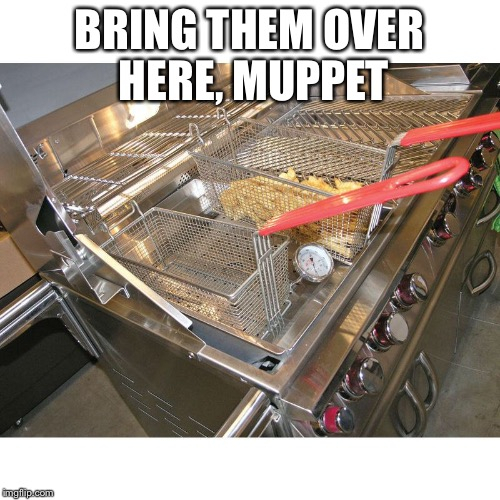 Could you post the recipe please? @Drocas - what can I say. I just can’t seem to stop eating potatoes. I know I should cut back. This thread needs a bump. PvP makes our guild hungry for potatoes. Please consider volunteering. They need you! 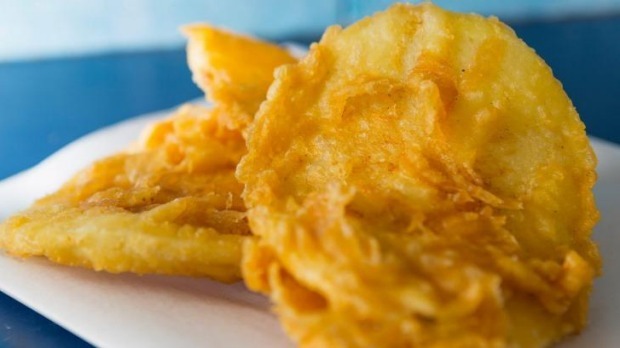 Here in Australia at the fish and chips shops we have potato cakes.. thin slices of potato deep fried in crispy batter. Not sure if you can get them anywhere else but they are the best thing ever. Spots available in all level guilds this reset message us today! Who is the head potato? I'm a big fan of this Level Capped rebranding! 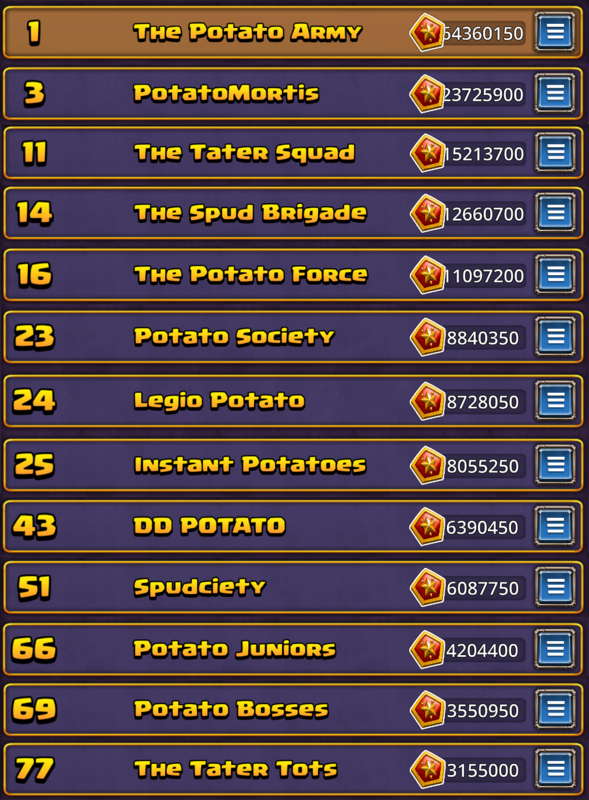 Nothing quite says potato famine like spending an absurd amount of gems/money for nothing! Nice one. Come to a recruitment thread to have a sook... speaking of branding, your guild must be so proud!